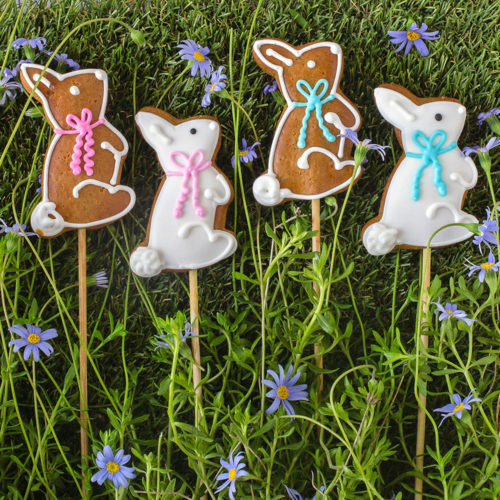 An assortment of Easter themed biscuits (220g), decorated with white icing. 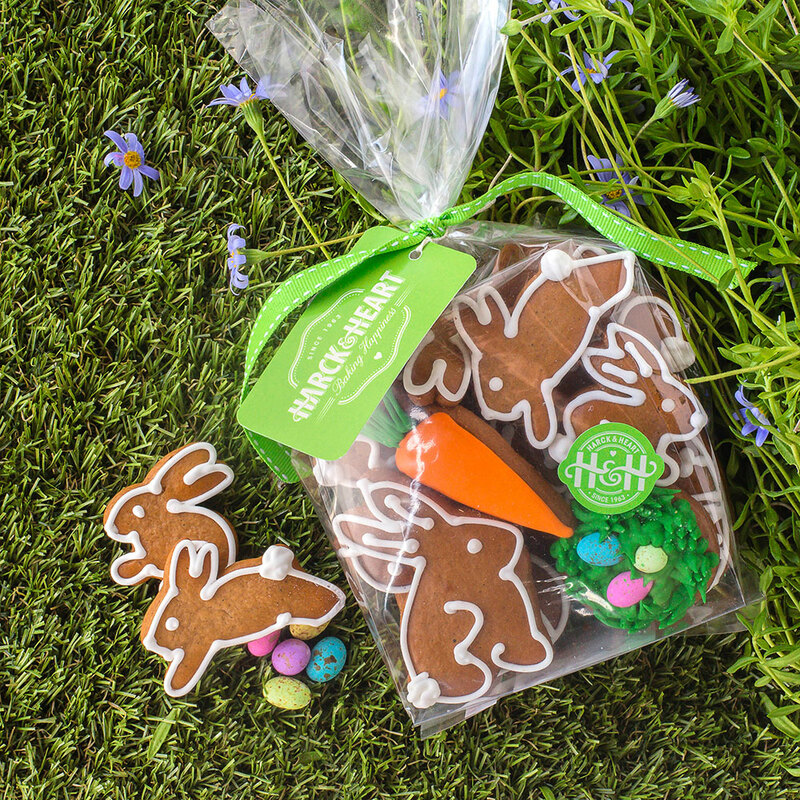 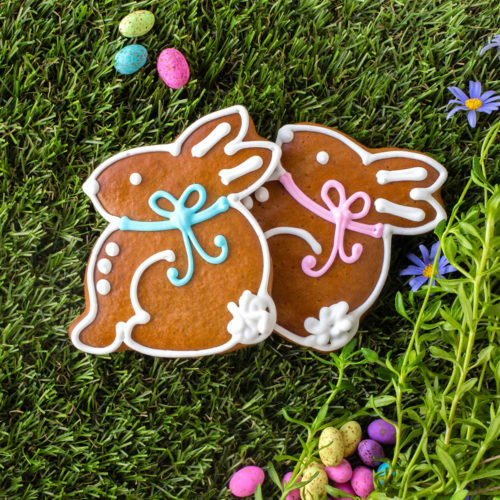 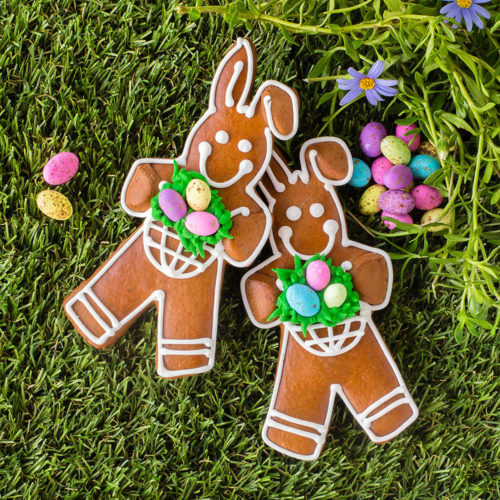 Each packet includes two colour decorated biscuits ( a carrot and an easter nest with speckled eggs). 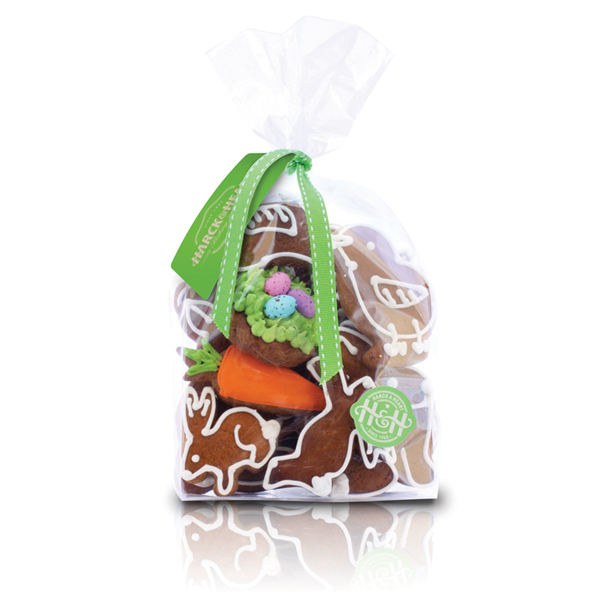 Packet is finished with green ribbon and tag.